The other week we where invited to come along to the opening of the third Jacadi Store in the UK. 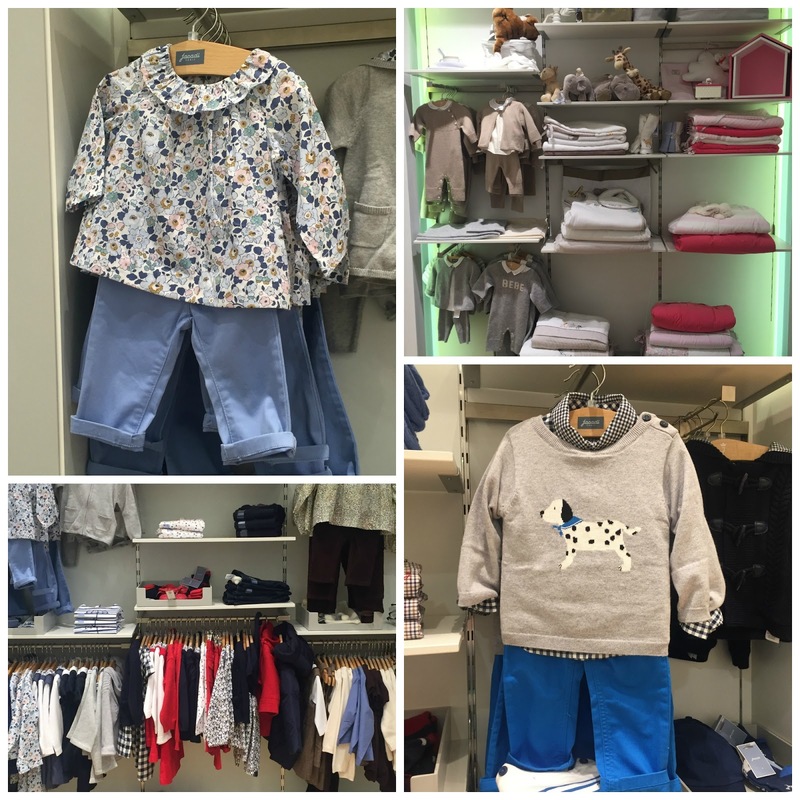 A quintessential french children’s brand, who have a passion for quality and craftsmanship. 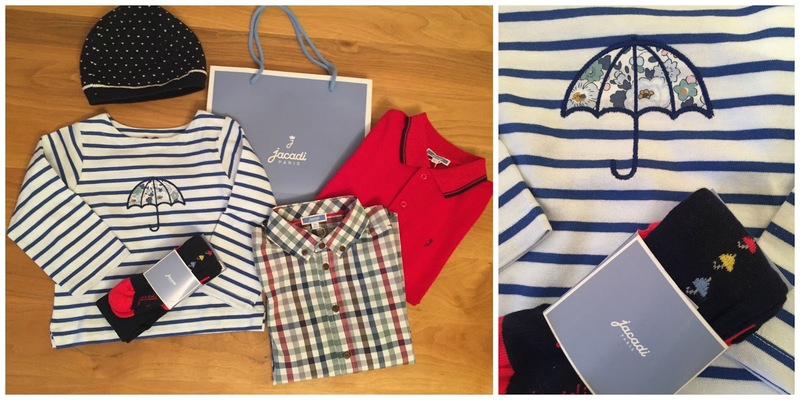 I had a look at the AW15 collection which takes its inspiration from sophisticated French clothing featuring Peter Pan collars, Breton stripes, cashmere knits and woollen accessories for both boys and girls from toddlers and children up to the age of 12. French style with bow and pom-pom details. Jacadi also offer a range of traditional styled children’s shoes, made in Europe including the Pre-Walker Collection for the 7 to 13 month-old child, the Walker Collection for the 12 to 24 month-old child and the Child Collection (sizes 24 to 39) for children ages 2 years and up. 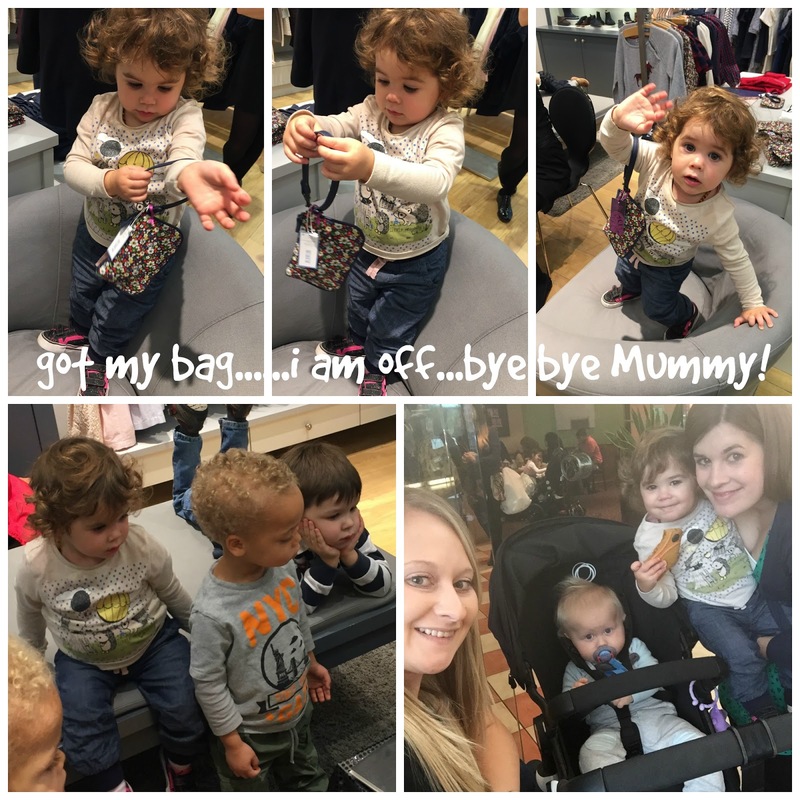 We had a great time checking out the new store, all the lovely clothes and Molly-May most certainly fallen in love with this cute handbag she wanted to just walk out of the store with it, bless her! Sadie’s little Boy Edward from Tiaras and Wellyboots felt right at home (bottom left pic) chilling on the couch whilst waiting for his turn to be painted and it was fab to catch up with Laura and Archie from Mummy’s Zone (bottom right pic) over a hot chocolate before the event. I absolute love stripes and those umbrella designs on the top and the tights are just utterly cute! Molly-May also got a warm winter hat and for Finn i choose a bright red polo neck long sleeve top and a checked (very christmassy) long sleeve shirt for the upcoming festive season. Disclaimer: I got invited to the Jacadi Store opening in Westfield and received a goodie bag as a thank you for coming, but all opinions and thoughts are my own.